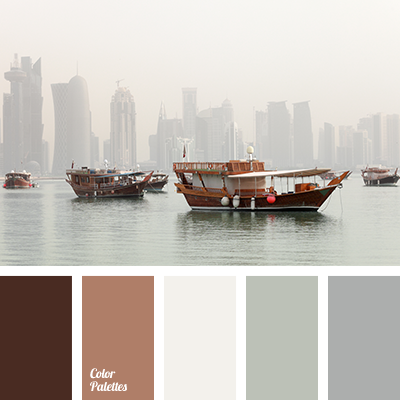 Amazing, soft and light palette. 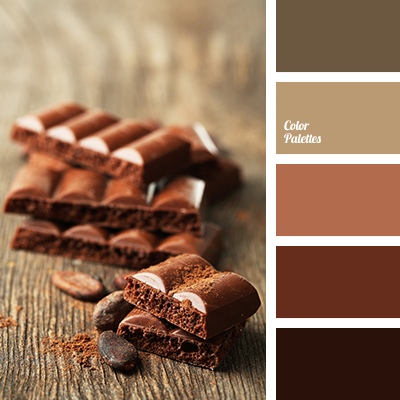 There are no any obtrusive colors demanding much attention. 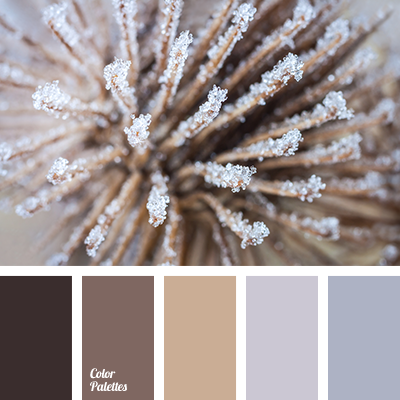 Pastel shades ease the atmosphere filling it with comfort, calm and relaxation. 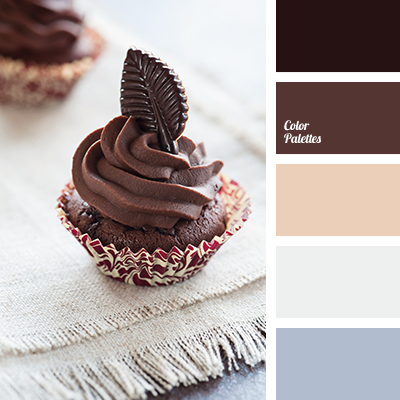 Soft shades of grey, sand create an effective contrast with darker shades of brown. Such a gamma may be used to create interior in classic style, for example, living-room, bedroom, bathroom. 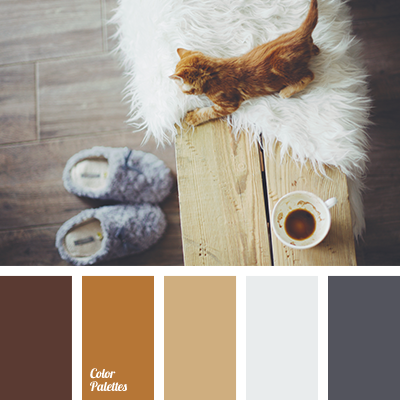 beige, brown, color matching, dark brown, gray scale, home color selection, house color solution, light beige, light gray, shades of brown, wardrobe color matching.